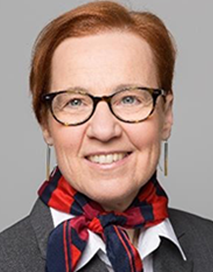 Dr. Ilonka Rühle, born in 1960, is Head of Division of Savings Banks Foundation for International Cooperation, SBFIC, in Bonn, Germany. Ever since her PhD in 1993 at Frankfurt, Dr. Rühle has been working in development finance. Starting out in Russia and Georgia, she supported the set-up of micro and small loan departments at banks on behalf of the European Bank for Reconstruction and Development. Then she worked in Albania as Deputy Director of FEFAD Bank (now ProCredit Albania) and accompanied the introduction of savings and payment transfer products. For more than 16 years now, Dr. Ilonka Rühle has been in charge of projects executed by SBFIC with a special focus on the Caucasus region and the Himalaya. Her work in the Caucasus is dedicated to fostering “Responsible Finance” targeting a fair reconciliation of interests between financial institutions and their customers, staff and business partners on the one hand, and their shareholders and investors on the other hand. Eventually, this is how the successful German savings banks model is described. Under the motto “Fair – humane – close”, German Sparkassen (savings banks) interlink economic efficiency and good long-term profits with social responsibility. In Bhutan Dr. Rühle is backstopping the set-up of RENEW MFI, a target group oriented micro finance institution that currently serves more than 8,500 female clients in rural regions.